I sent an email requesting service. Jody called the next morning and had time for a service call the same afternoon. He was very professional, the installation was quick and smooth and he went over the faucet and parts after the faucet was installed. I will definitely use them for any plumbing work I need in the future." Shawn and the crew at Miteff Plumbing were incredibly fast, efficient and professional. We called them to quote a couple of plumbing jobs and they came out that same day. Shawn e-mailed the quote within the timeframe stated and was incredibly responsive around additional questions. Once we confirmed the go-ahead for their services, they arrived on time on the agreed upon date, did a great job, and cleaned up after themselves. These guys will always be our first call for any future plumbing needs." We got estimates on each task individually so we knew what exactly we were getting. The work was done in pieces on different days, depending on which workers were available and when parts arrived. The head guy, Shawn, was really good at keeping track of all these details. He was good about emailing or calling in advance to let us know who was coming and when. Whoever came, they always put those little booties over their shoes and, for the bigger jobs, laid drop cloths down over their entire route in and out. They were very respectful of our property. Also, they always explained what they were doing and warned us ahead of time when they were going to shut off the water. Everyone also seemed really knowledgeable. For instance, we had other people in to look at our leaks and they couldn't figure out where the water was coming from, or said they couldn't fix it. Shawn saw everything immediately and fixed everything, no problem. Similarly, the carpenter, Josh, who made the new counter top and did all the tiling in the new bathroom came up with clever ideas to improve each of these projects. He didn't just blindly follow a blueprint without thinking it through for himself. If there is a weakness in this company, it is that they are now so popular that you have to wait a while to get their services. In our case, that was not a problem, and the quality of the outcome was definitely worth it." I called Shawn Denny around 2:30 to have him replace the gas pipe fittings and valve for a new gas range I had purchased. The current fittings were corroded and not up to code. They were here around 4:00 and removed the old fittings and installed the new ones. He also gave me the Angie's list special discount without my requesting it. They were very professional and did an excellent job. I would highly recommend them without reservation." I was very impressed with Miteff Plumbing. I met Shawn because the contractor that was doing my tile work in my bathroom had recommended him. I was in need of a plumber quick, and Shawn came over right away. Which I appreciated greatly, because there were a lot of other contractors and things happening, and I couldn't move forward with the project, until I had a plumber come over. He was more than willing to come to look at the job, even though it was already the end of the work day. He gave me a fair bid and agreed to get started on it right away. He and a few of his guys started the project the next morning. Shawn was there when he said he would be and he and all his guys were very kind, personable and considerate of my house (making sure not to let a mess). They finished the job in a very timely matter, it looked great and I was very pleased with his service. 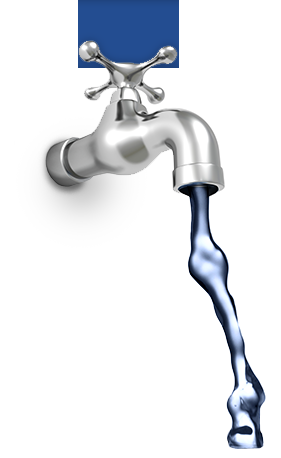 I have since used Mifett Plumbing for several small issues around my house, clogged drains, broken garage disposal and faucet issues. Shawn always is quick to response, arrives on time, fixes the problem quickly, cleans up his mess and is fair with his pricing. I continue to be impressed with their service and have also recommended them to several friends and family." I called Miteff because of the great reviews on Angie's List. I'm so glad I did! I called on Monday morning and Shawn offered to come out the following day. It didn't work with my schedule so we arranged for him to come out today (a day later - Wednesday). My kitchen faucet was leaking (not dripping - leaking, as in water dripping from the pipes onto the cabinet below the sink). Also, the water pressure for the hot water was very weak. It was determined that the faucet would require several parts and Shawn suggested it might be easier to just replace the (at least 12 year old) faucet. He had another job in the area and said he could return when he was finished to install the faucet for me. I ran out to Home Depot, bought a replacement faucet and he and his assistant returned shortly after I got home to install it. It works great - no leaks and strong water pressure on both cold and hot water. The water pressure in the master bath was also weak so Shawn took the shower head apart, cleaned it and I once again have strong water pressure. I'm not sure what the issue was (my husband talked to him about it) but there was some kind of problem with our sump pump that was also repaired. The total bill was $175.00 which I thought was very reasonable. I had an Angie's List coupon for 10% of that so the total was $157.50." I found Miteff Plumbing on Angie's list. I had them come to my house on April 2nd to fix my garbage disposal which was completely dead, dishwasher which was getting water backup, and upstairs toilet which was not flushing properly. They did great work, arrived when they said they would, were very thorough in their investigations of the problems, were very courteous in my home, and explained the problems and recommended solutions in a professional way that I could understand. I was so impressed, I called them again when my tub got clogged on April 14th, and again on May 2nd to replace the upstairs toilet and install a vent for my pipe drain in the basement. I will continue to use them for all my future plumbing needs."